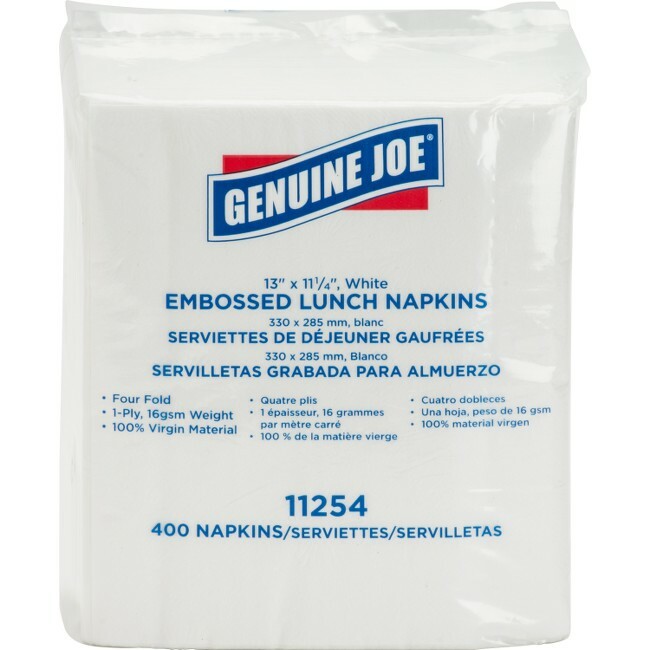 Embossed lunch napkins are soft, consistent and versatile for a variety of your events. One-ply, four-fold design handles sticky messes with a soft touch. 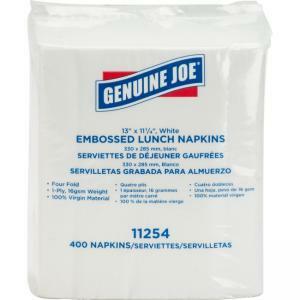 Napkins are made with a high percentage of recycled material.